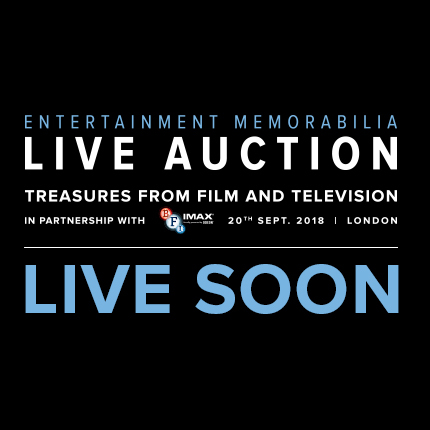 Welcome to the FIFTH Prop Store Entertainment Memorabilia Live Auction! LOT 0 IS A TEST ONLY. Please use this lot to test your bidding button and get familiar with the live auction.